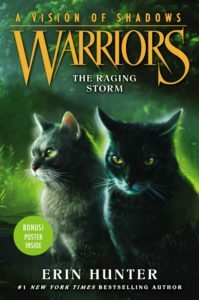 Kate, why were Cherrytail and Cloudmist never added to the allegiances after rejoining SkyClan in Darkest Night? It’s not like they’re dead. 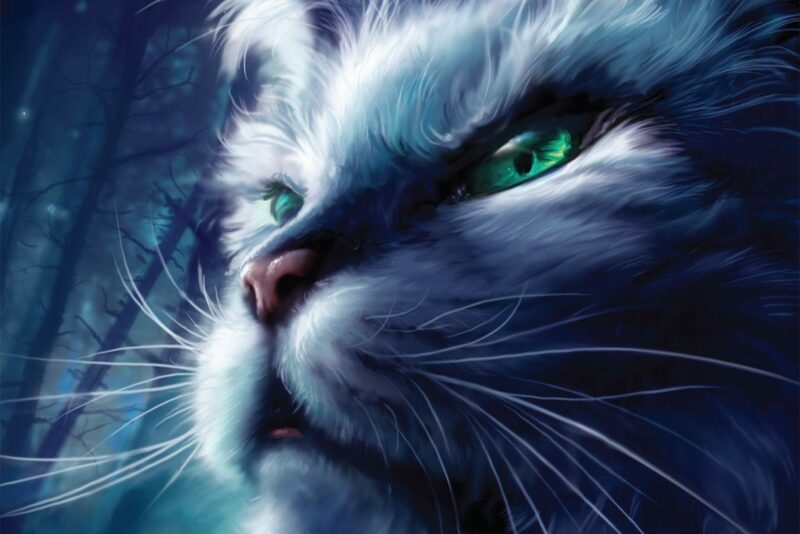 Cherrytail made an appearance when ShadowClan was attacking SkyClan’s camp in The Raging Storm fighting alongside Mintfur. I was sort of hoping to see her interact with Violetshine, as she is Cherrytail’s granddaughter. Do you know how I can contact them? I’m afraid I would be have my fonts ripped out if I passed on their contact details. But I do hear you and will pass on your message in a quiet whisper when they’re in a receptive mood. My guess is that they forgot. It’s lovely seeing more positivity. From me or in general..? Kate is it confirm-able that Blackstar is related to Spider Paw? Spider Paw and Blackstar are both polydactyl cats. Spider Paw came first and the Warriors app stated that Blackstar comes from a long line of polydactyl cats. Will tree’s and violetshine’s kits be polydactyl too? I heard somewhere that its a passed down gene. I think it will be cool. My guess is that they’ll have three kits. I can’t wait to meet them. so there’s raging storm and rising storm…? no, thats not confusing at all. Also… who are Heathertail’s parents and ,if she has any, siblings? Heathertail’s father is Onestar and her mother is Whitetail, I believe. This therefore makes her Darktail’s half sister. Hey Kate if you had to choose a random (future) forbidden relationship (though I pray to Starclan that that will not happen), which would you like to see among all of these? Or one that you’d like to see tat you’ve created! I’m not Kate, but I out of the options, I would have BlazepawXOne of Ivypool’s kits. Hey Kate. A question: Why is Tigerstar being so terrible after he became a leader? Like he want peace with SkyClan in Tigerheart’s Shadow because he think that ShadowClan should give SkyClan the rabbit Plumwillow caught on ShadowClan’s territory because Sandynose give ShadowClan a rabbit that Tigerheart’s chasing, so it’s like that Tigerstar hate SkyClan in The Raging Storm and he’s pretty good to SkyClan a few moons ago in Tigerheart’s Shadow. Why? He’s got to act tough to make sure he’s taken seriously. ShadowClan have been through a difficult time. He has to make them seem formidable again.